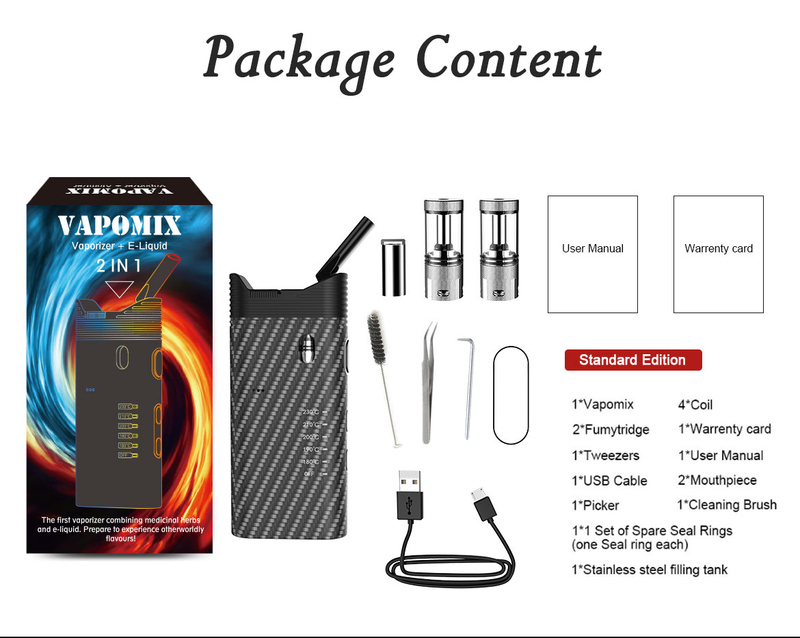 Vapomix is a revolutionary product that combines the effects of a personal vaporizer (allowing the inhalation of fumes from the vaporization of medicinal herbs; so the vapor does not contain any combustion substance like tar, carbon monoxide and other harmful toxins in the smoke) and an electronic cigarette (allowing inhalation of vapors from eliquid vaporization). Thus the vaporization of the two elements is associated and redirected towards the mouthpiece. 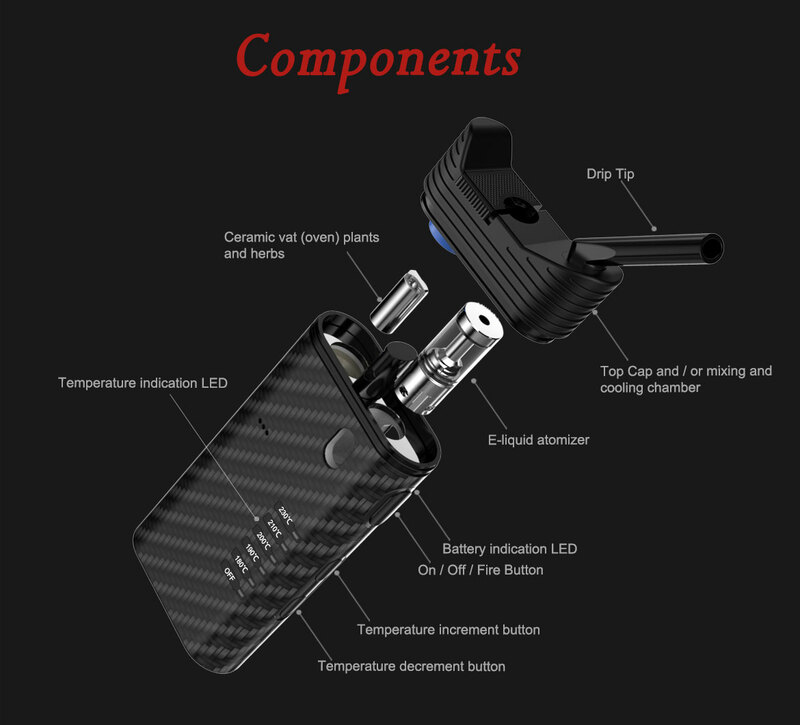 The synergy of the two allows the user to manage the desired "hit" (larynx contraction) by modulating the nicotine dosage contained in the selected e-liquid. Similarly, this synergy makes it possible to considerably increase the amount of inhaled vapor compared to the use of a standard medicinal herb vaporizer, which delivers no "hit" and a very small volume of vapor (few sensations in throat). 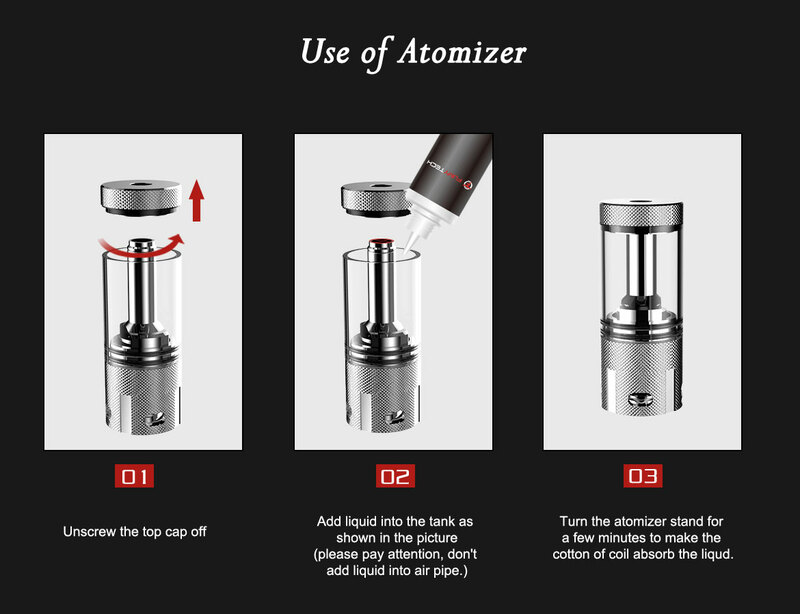 The advantage of the process is therefore to allow the user to enjoy the benefits of herbal medicines, while adding the vapor density and the different fragrances of e-liquid for electronic cigarettes. 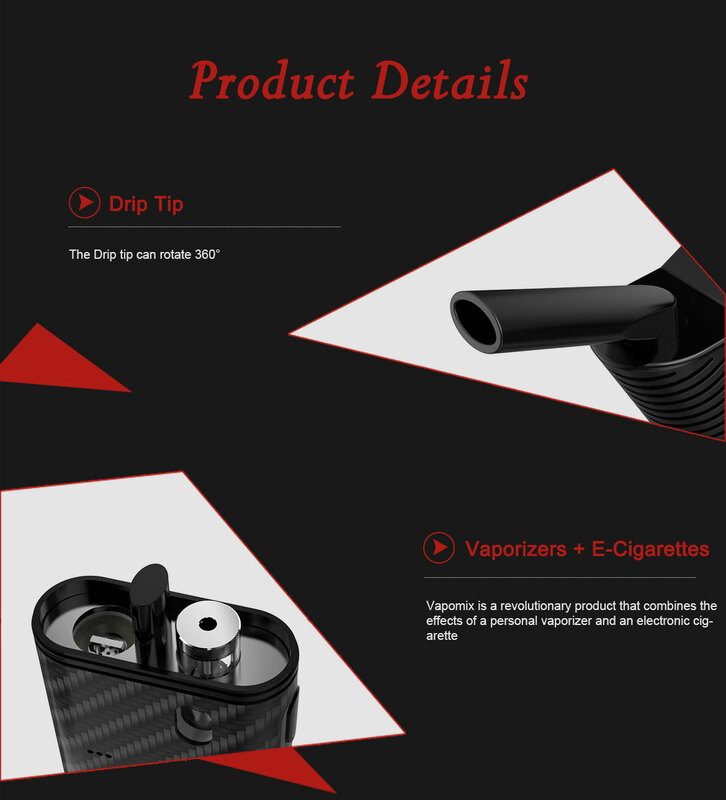 It is also possible to use each of the two functionalities (herbal vaporizer or electronic cigarette) independently of one another if the user so wishes. The vaporization of medicinal herbs is carried out by a conduction process. 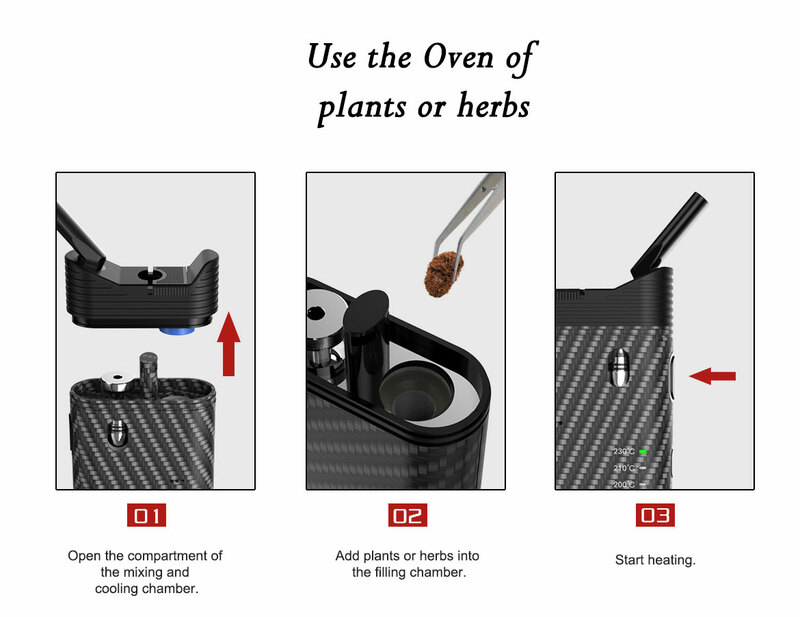 This method of heating implies that the medicinal herbs are in direct contact with the heating element. 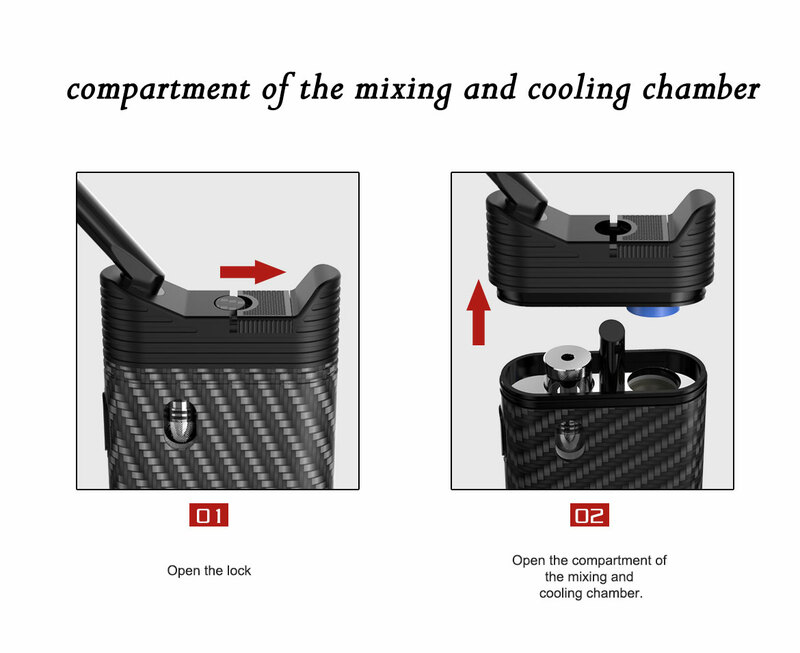 The tank can be used without the stainless steel tank (included in the package), but it is still recommended to use it to avoid blocking the air passage holes at the bottom of the tank (oven). 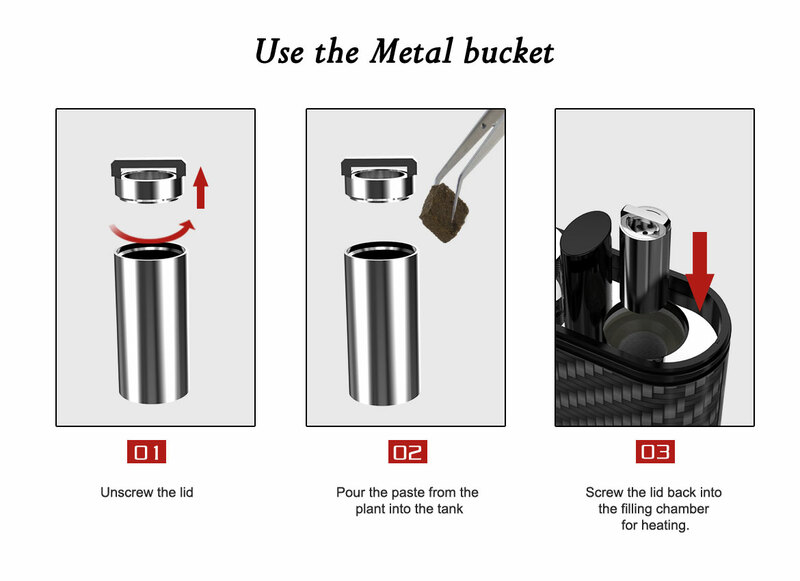 The stainless steel tank can also be used to vaporize resin. The electronic cigarette part works with the full range of Fumytridge (Fumytridge A and B, Fumytridge Cloud and RTA) whereas the Vapomix comes with 2 Fumytridge Cloud. The output voltage is fixed and continuous. 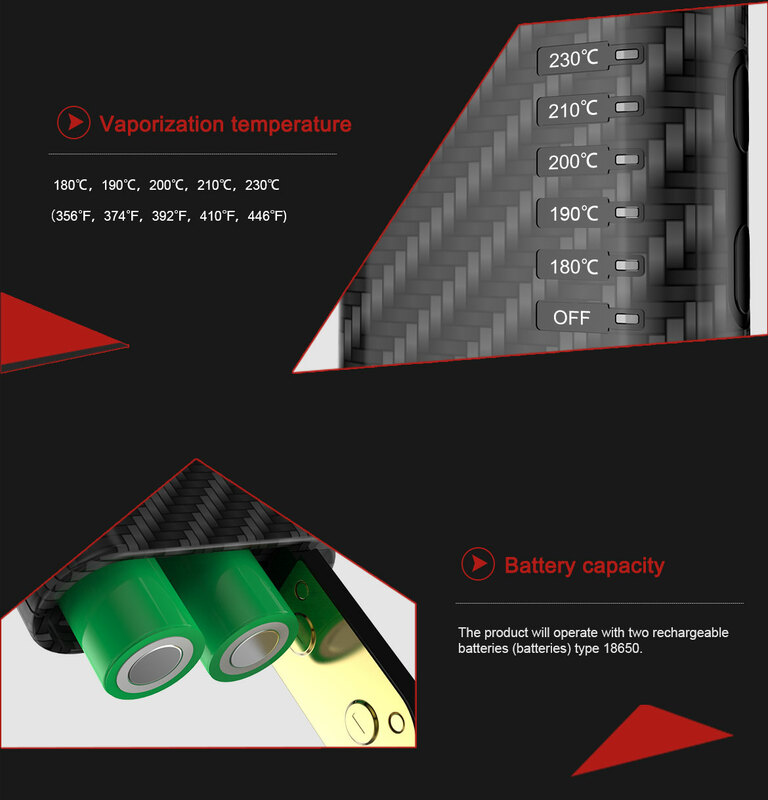 So with the different resistances available and the mountings made on the FTA, you will get different sensations of vapor. 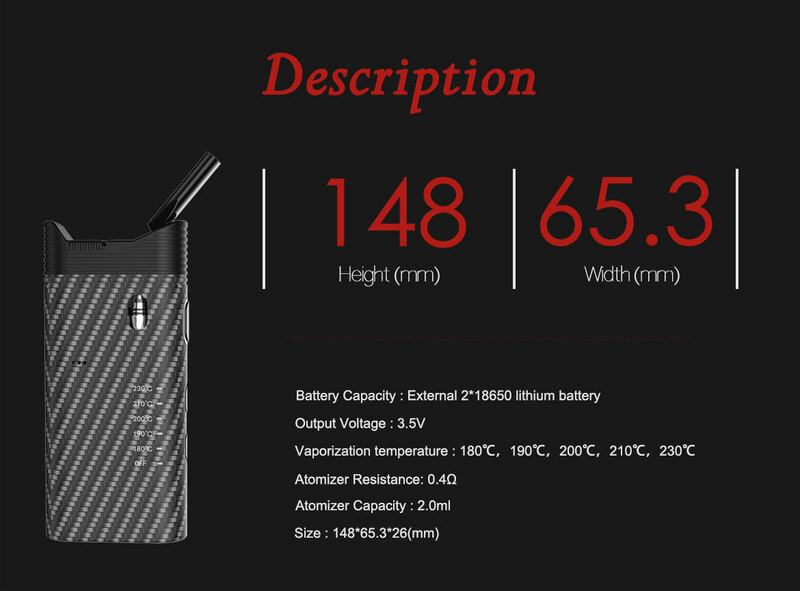 Finally, the product will operate with two rechargeable batteries (batteries) type 18650. Vapomix is a registered and patented product. Any natural or moral person who reproduces this invention without a prior agreement from Fumytech will be undertaken to judicial prosecuting.